I’m slowly getting pulled into the world of Kikuyu theatre and comedies by my friends who are constantly seeing to it that they introduce me to the Nairobi theatre scene. I’ve come to realize that all through my life, my entertainment has mostly been in form of foreign series and movies. For shame and curiosity on my part, and for the love of my mother tongue, I need to do a lot of catching up. An undeniable part of my journey towards my initiation into the arts and theatre scene are my friends over at Ikenia Arts. Too bad that sometimes I’m unable to attend their productions because some of them have been staged a bit further out of my way at Herisquare. This time round there is no excuse because their latest adults only rib cracker ‘Kunya Wega’ is showing at Sarakasi dome in Ngara – just opposite Ngara Post Office. There will be ample secure parking. There is a hotel and bar within the dome so if you want to swallow one or two to go along with the laughter, you’re well covered. Kunya Wega is a promisingly hilarious play. It is not your ordinary rich girl poor boy story – a synopsis that has honestly become a bit too cliché. The play seeks to look at life, family, society as a whole, and how social status can be a barrier in life. Kikuyu plays are quite educative in their hilarity and are often times bordering on vulgar. When the organizers say adults only, best honour that and realize that it also means you don’t attend with your parents. :-D. Kunya Wega is adults only. 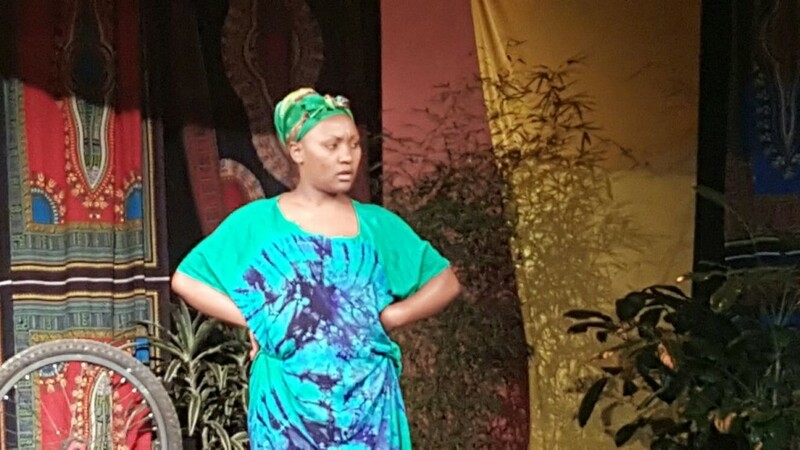 The play is directed by Anthony Ndung’u a well known name in local theatre circles, and who has been directing all Ikenia Arts plays. Anyone in the Kenyan theatre world will know and vouch for this name and the quality of his work. Purchase your advance ticket via Mpesa No: 548212. Your tickets will be reserved and you’ll pick them at the door.